Today We Love DC is giving away a pair of tickets to DC Music Download‘s 1 year anniversary show at Rock & Roll Hotel this Friday, March 15th! 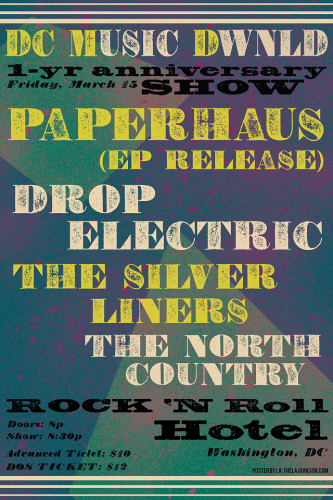 Playing on Friday will be alt-psych-rockers Paperhaus, who are celebrating the release of their EP before they leave DC for a two-month US tour. 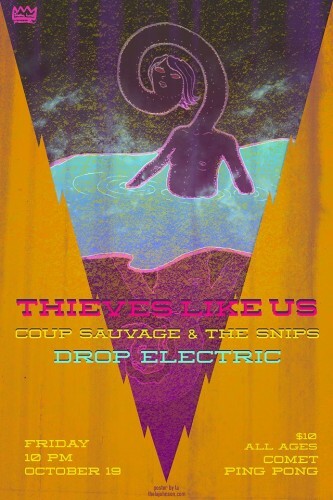 Also on the bill are Drop Electric, The Silver Liners and The North Country. Advanced tickets are available for $10 through ticket alternative. Tickets will be $12 at the door on the night of the show. Tickets will be available to the winner at the ticket window of the Rock & Roll Hotel on the night of the concert. The tickets must be claimed with a valid ID. The winner must be old enough to attend the specific concert or must have a parent’s permission to enter if he/she is under 18 years old. 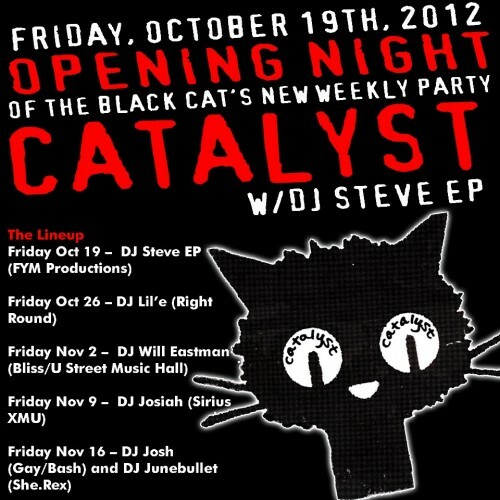 Today we are giving away a pair of tickets to attend the opening night party for DCWeek at the 9:30 Club on Friday night. Digital Capital Week is a week-long conference focused on bringing together designers, developers, entrepreneurs, and social innovators of all kinds. 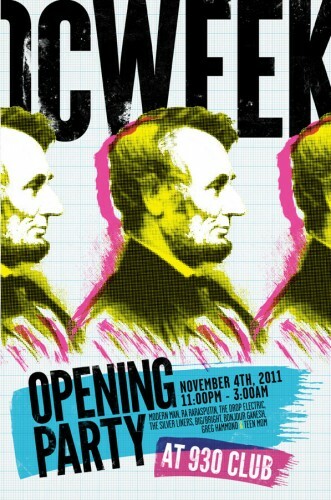 DCWeek offers an impressive schedule of lectures, discussions, and social mixers between November 4th and November 11th. To kick things off they are throwing a party at the 9:30 Club on Friday night with entertainment provided by some of DC’s finest up-and-coming bands. 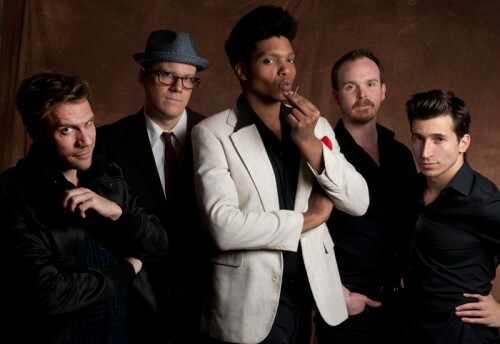 The party runs from 1030pm to 3am; featuring music from Teen Mom, Gregg Hammond Band, Modern Man, Ra Ra Rasputin, Drop Electric, The Silver Liners, Big/Bright, and Bonjour Ganesh!. Note: This is a ticketed, private event after the scheduled Scratch Acid concert. For your chance to win these tickets simply leave a comment on this post using a valid email address between 11am and 5pm today. One entry per email address, please. If today doesn’t turn out to be your lucky day, check back here each Wednesday for a chance to win tickets to other great concerts. Tickets for the DCWeek kick-off party are almost sold out but some are available here.